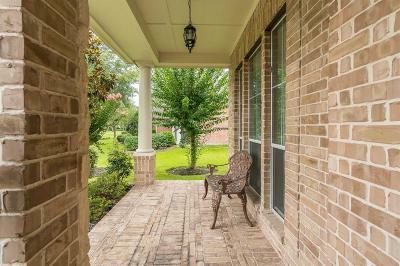 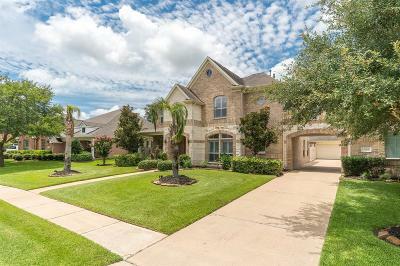 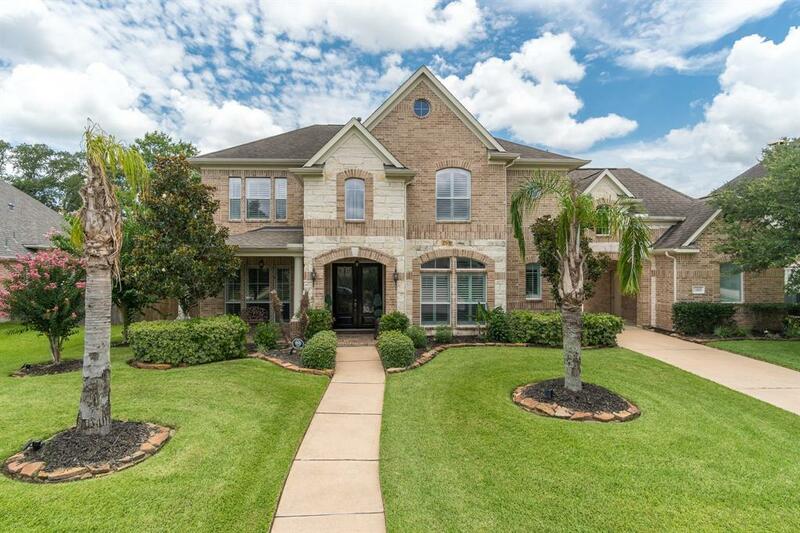 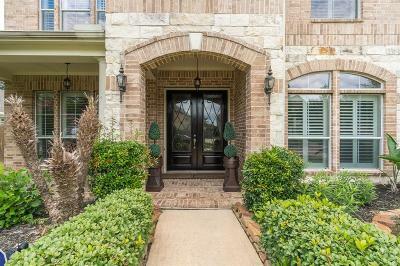 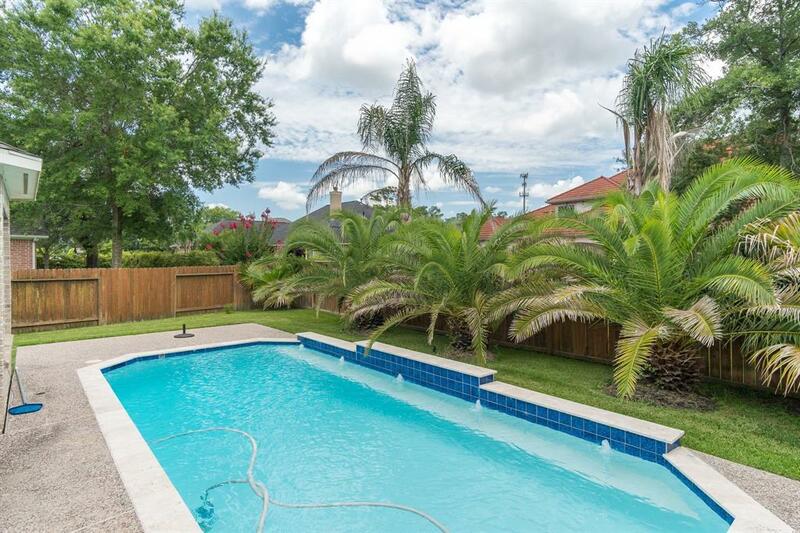 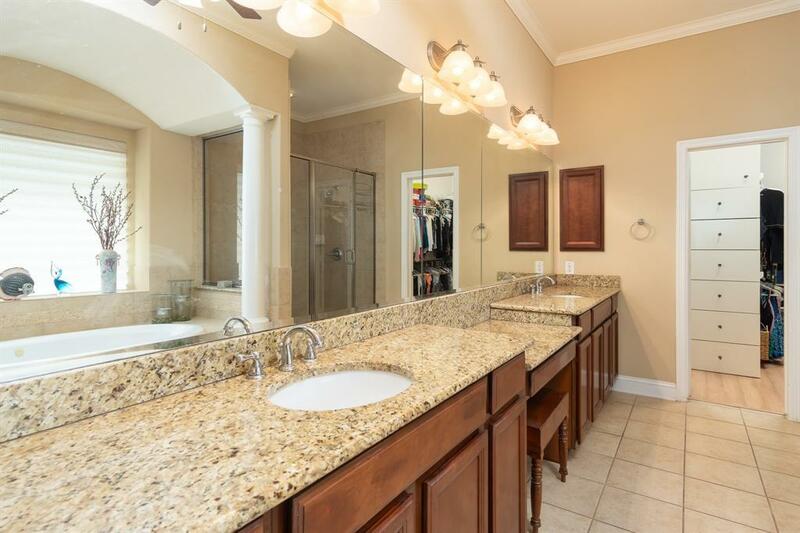 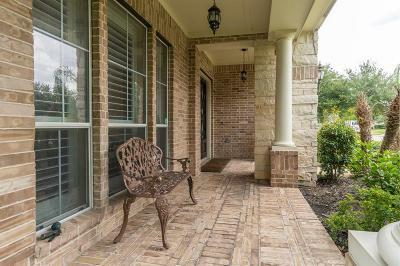 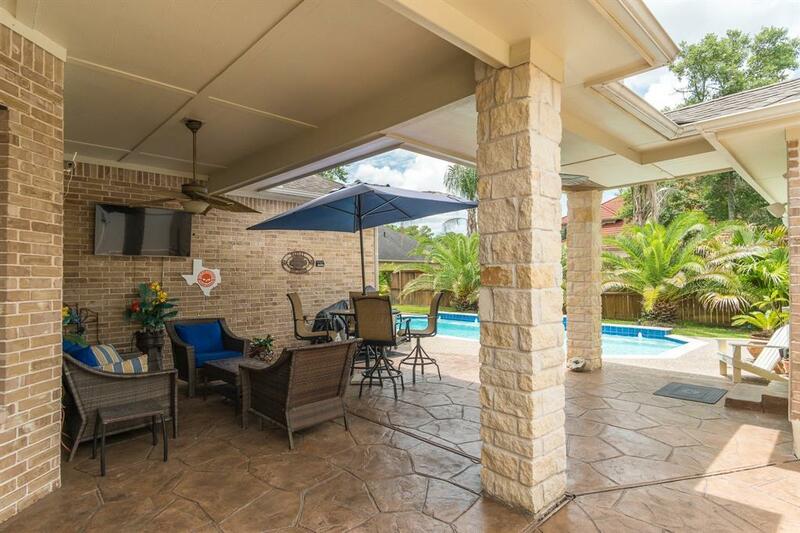 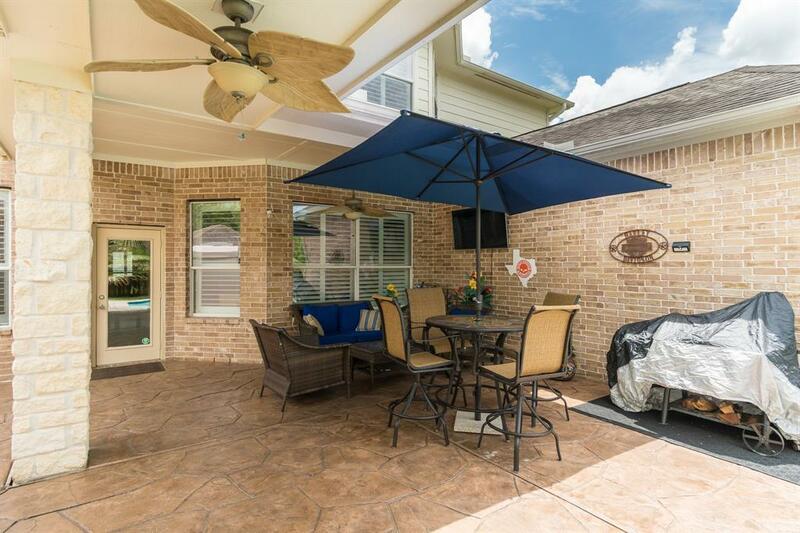 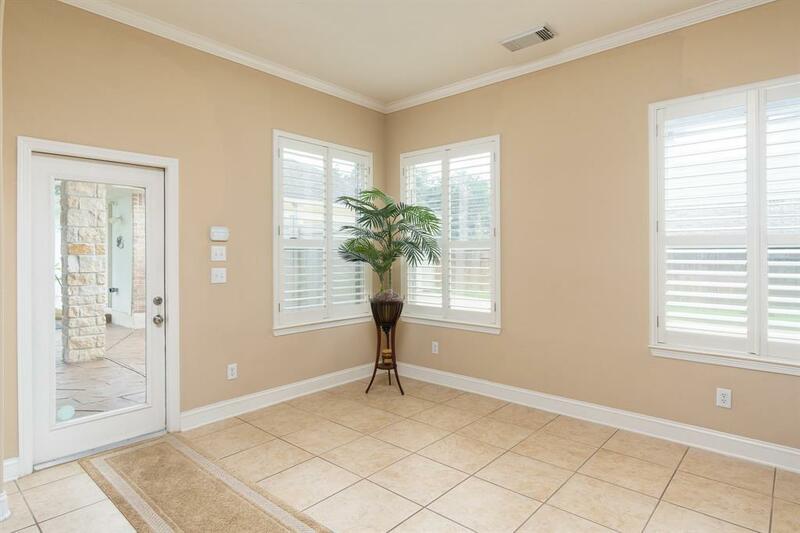 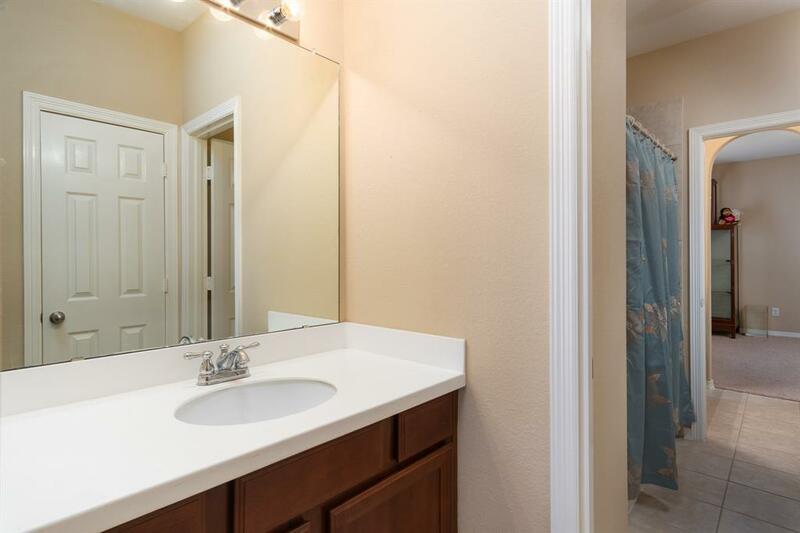 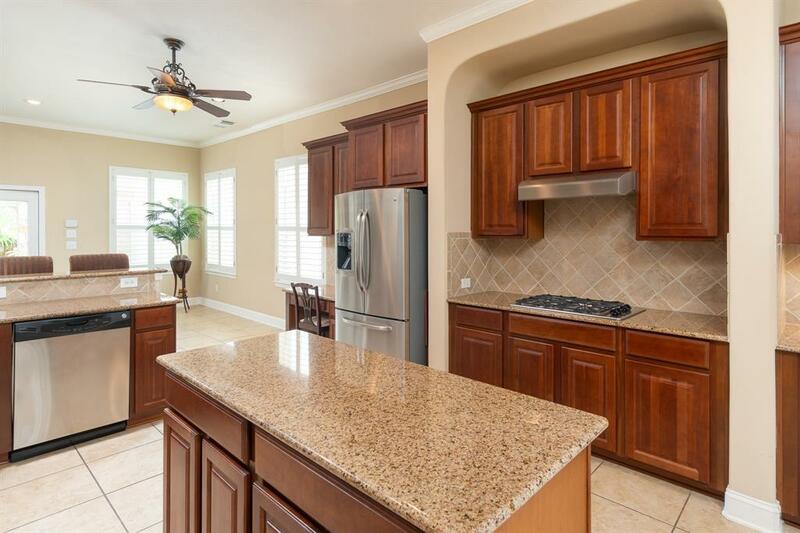 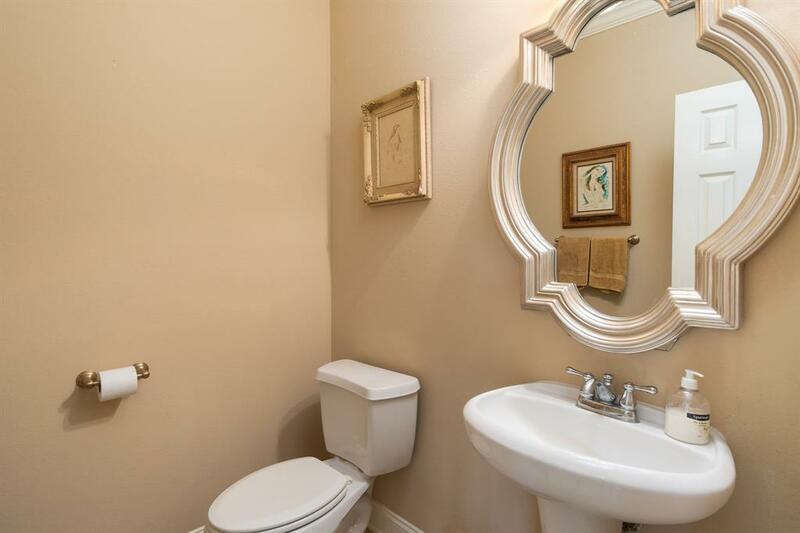 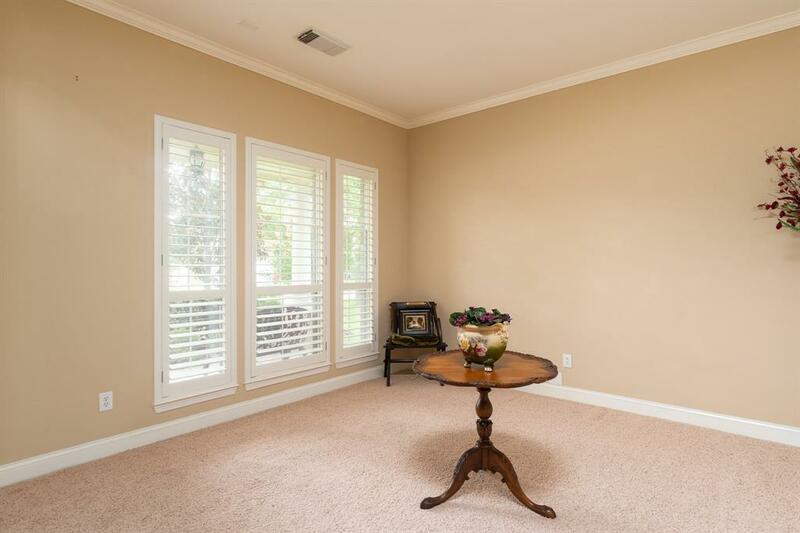 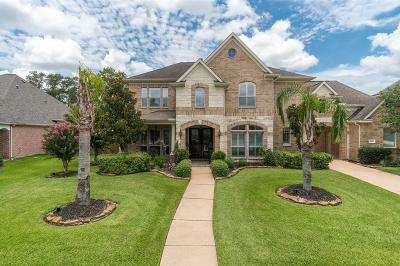 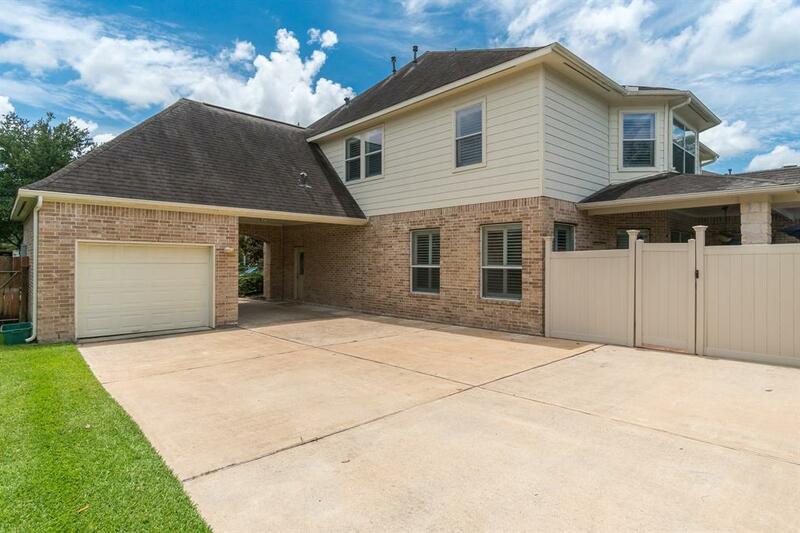 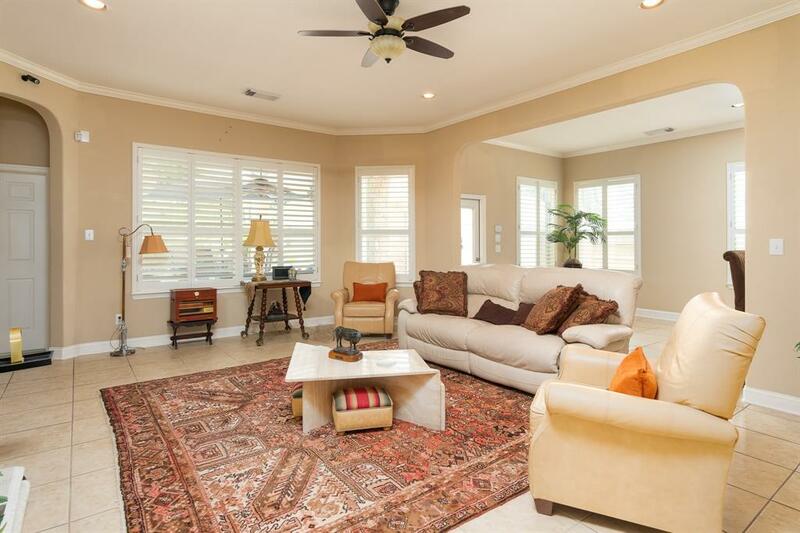 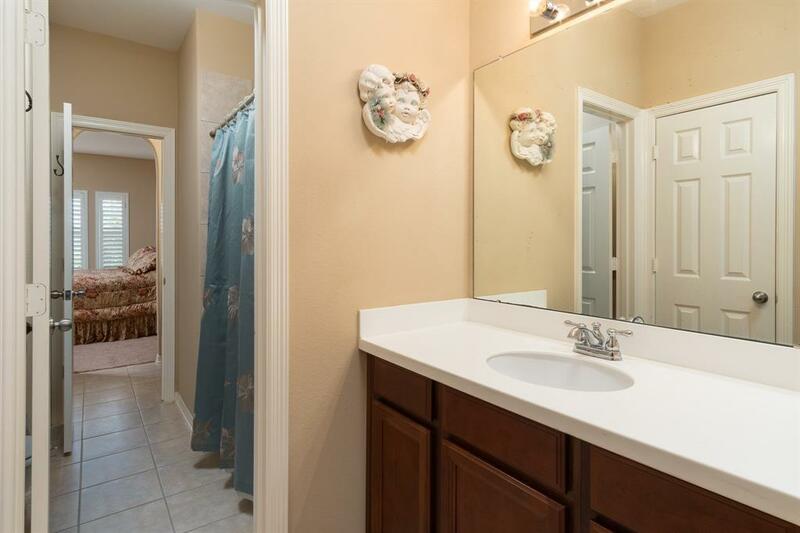 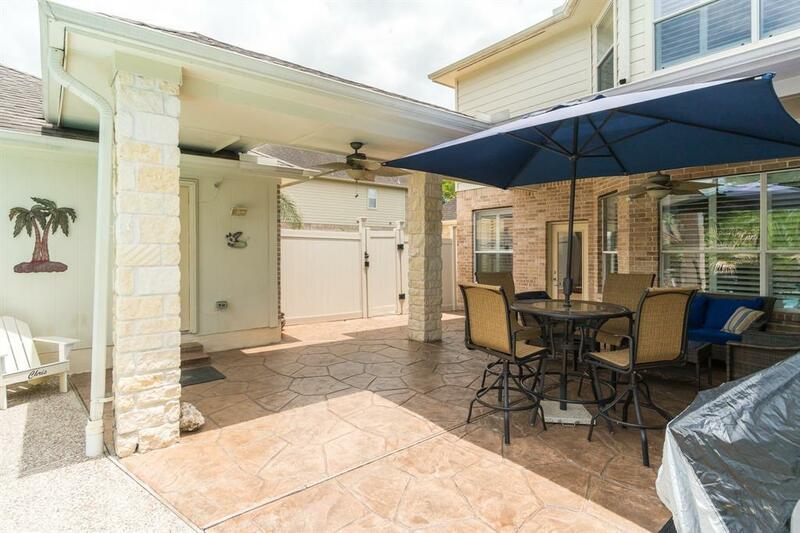 Gorgeous, well-maintained 5 bedroom in highly desirable Friendswood Oaks! 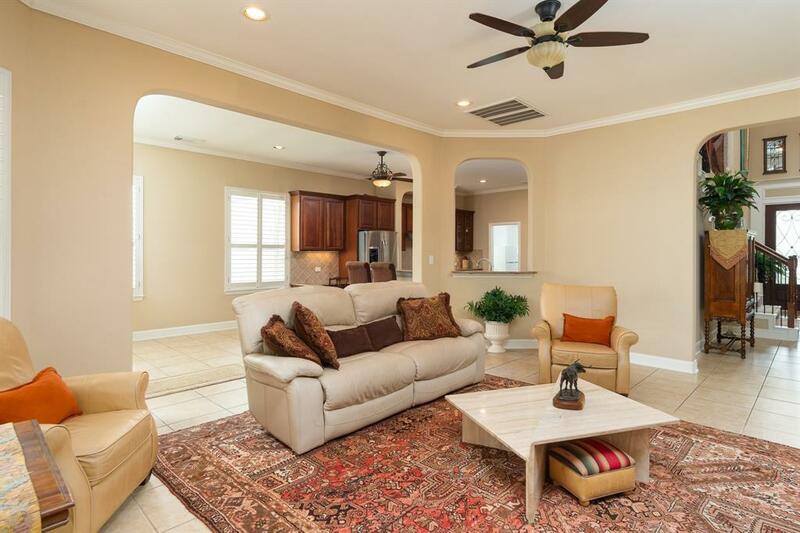 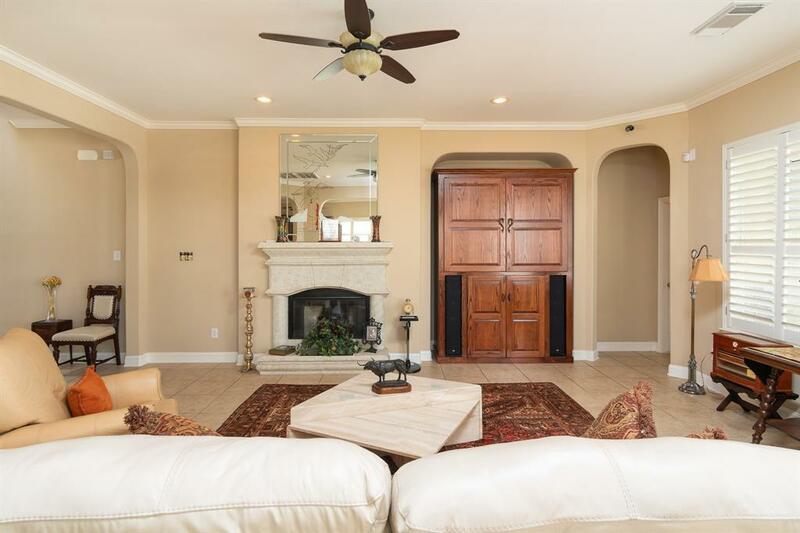 Your castle awaits with this 4-car garage with additional parking and porte-cochere. 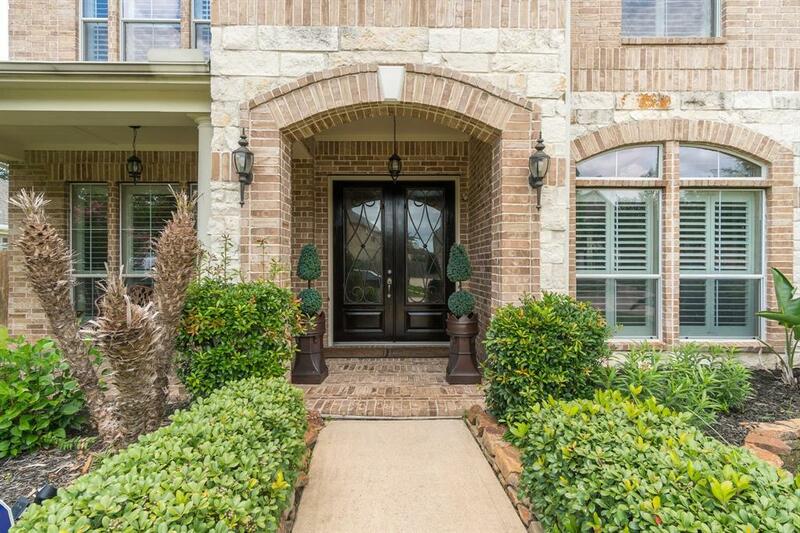 Beautiful stone and brick elevation! 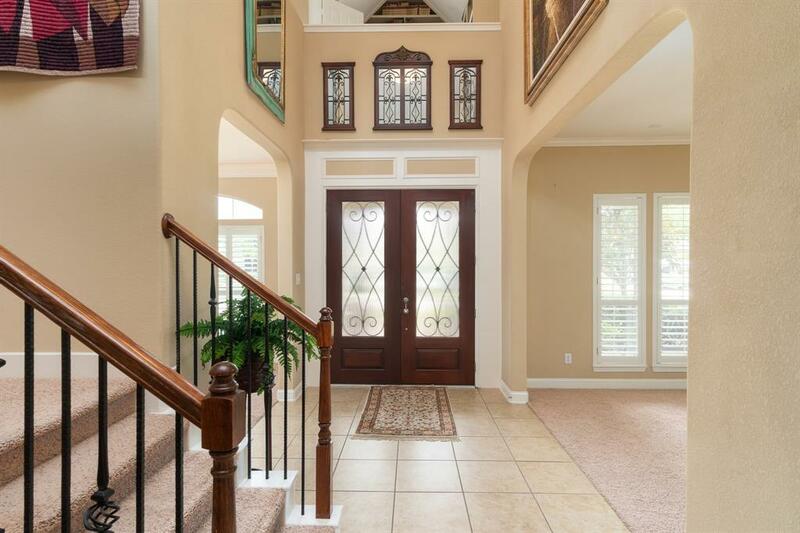 Double doors as you enter home with tall entry. 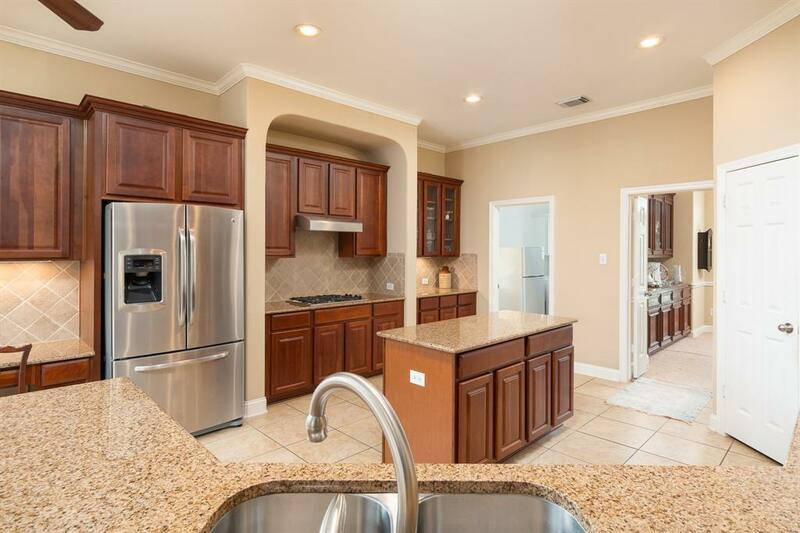 Huge kitchen with stainless steel appliances and tons of cabinetry. 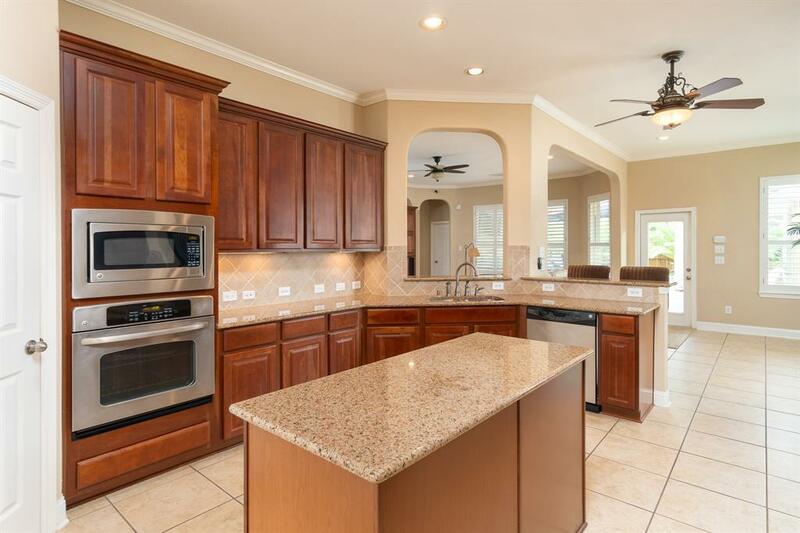 Island kitchen with gas cook top. 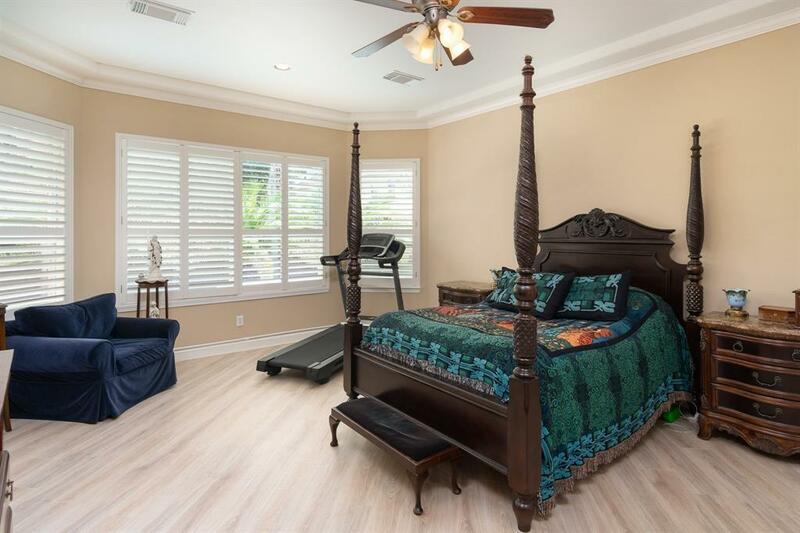 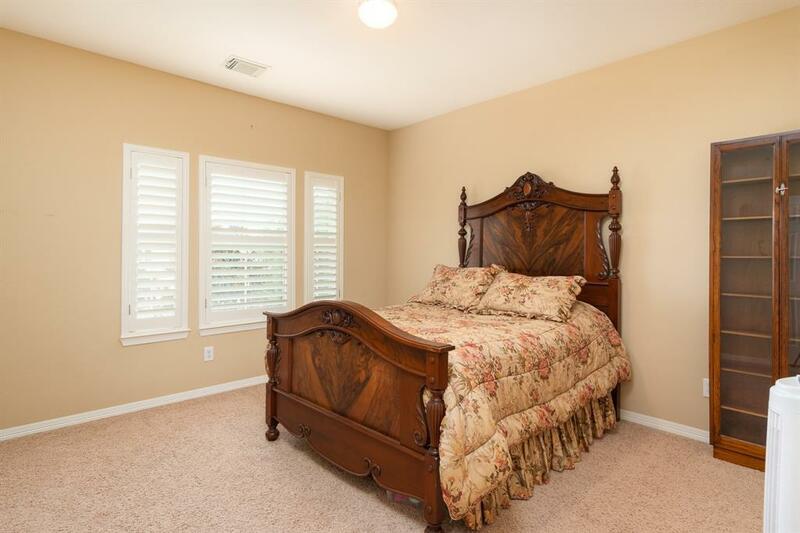 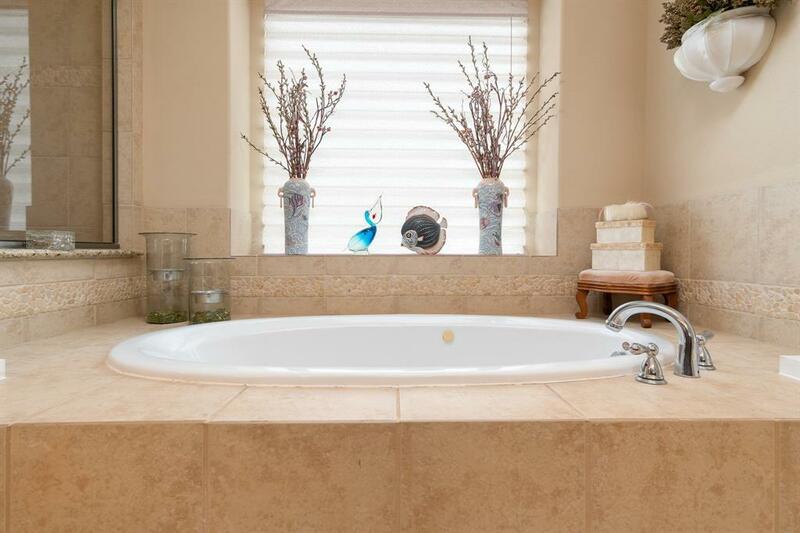 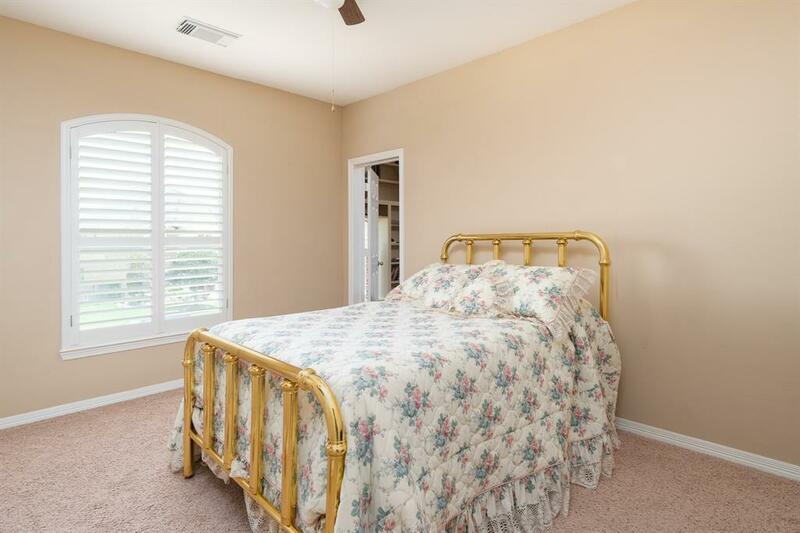 Nice over-sized master bedroom with spa like master bath. 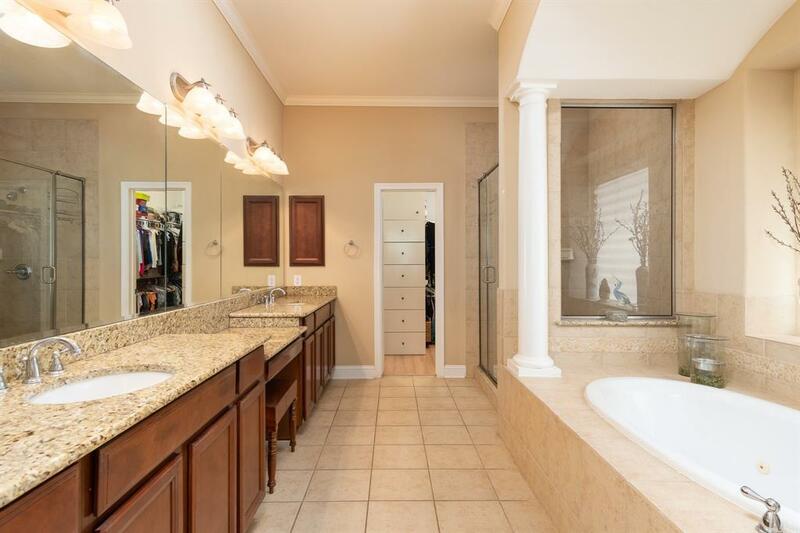 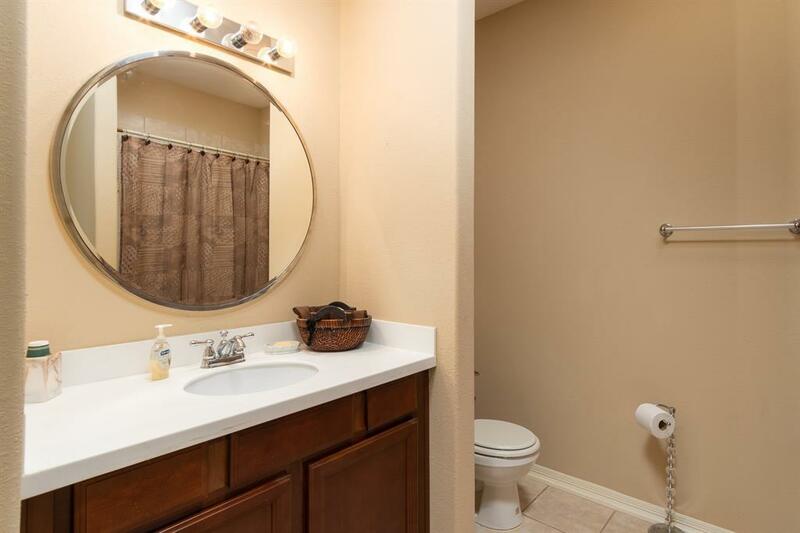 Big tub and stand up shower with lots of closet space. 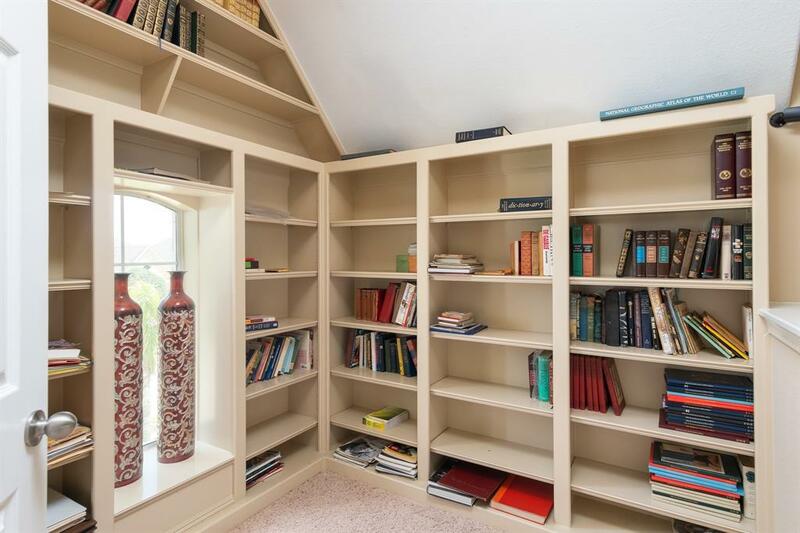 Well apointed study and dining room with custom built-ins. 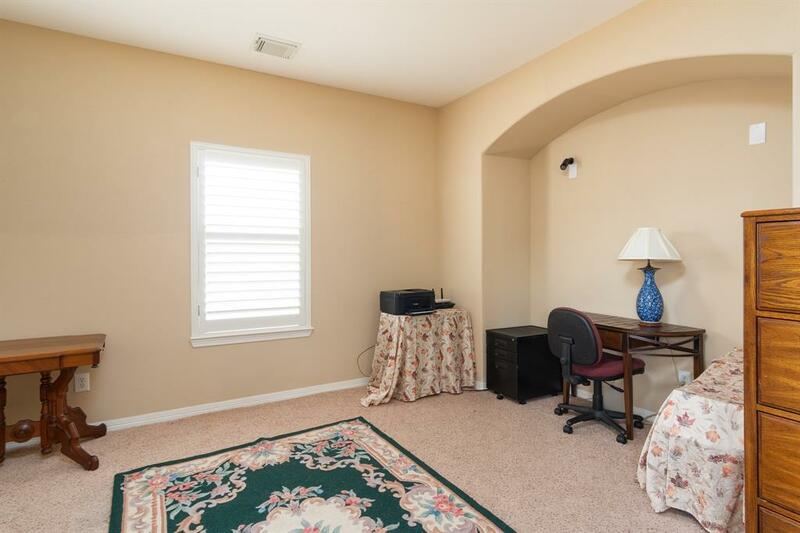 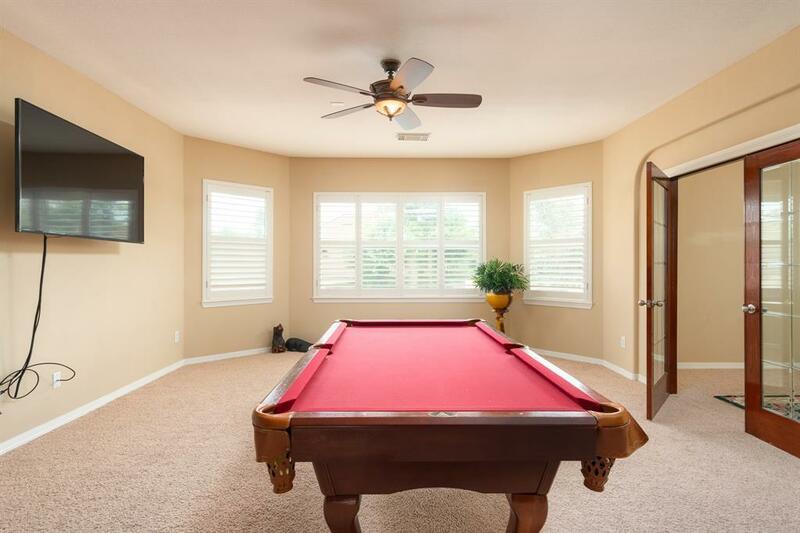 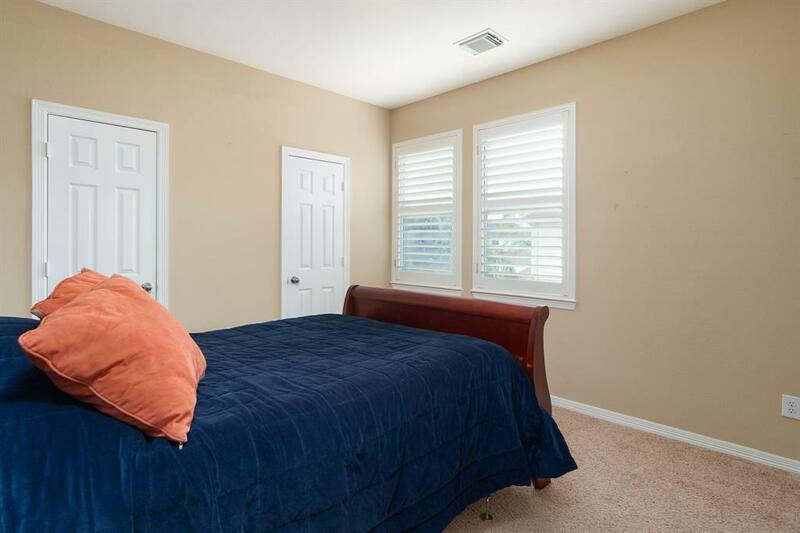 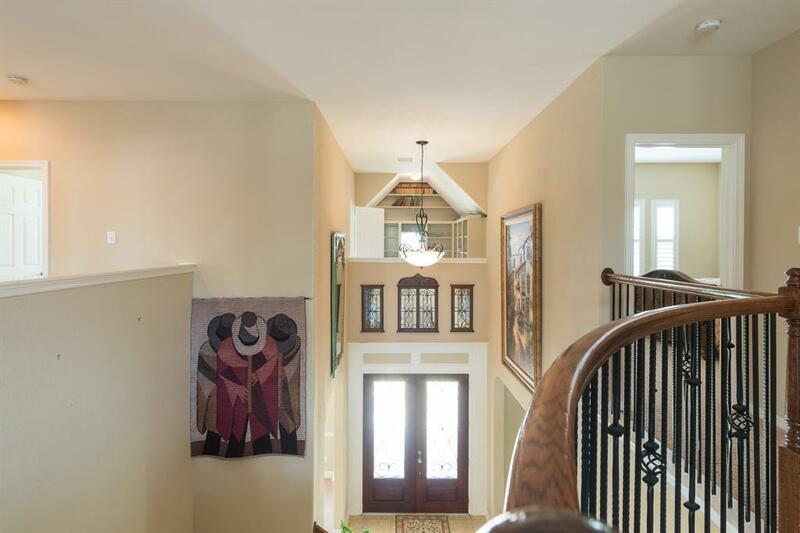 Upstairs you have a huge game room and 4 large bedrooms and two full baths. 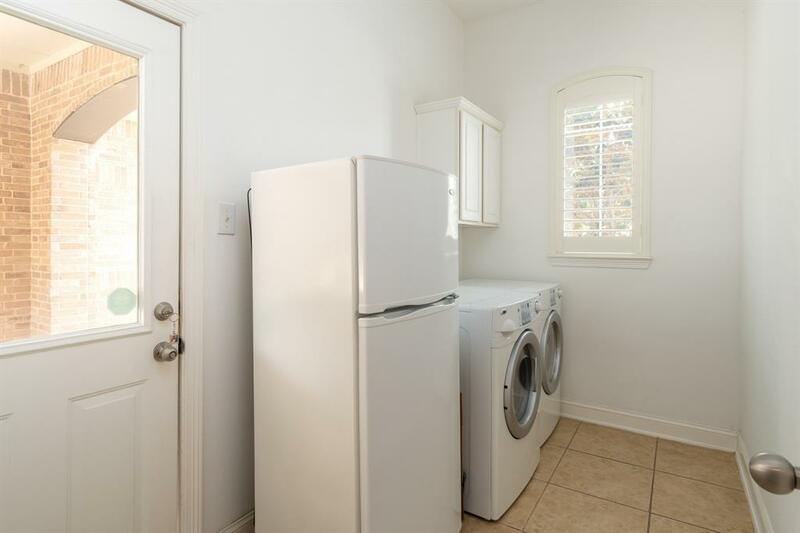 Also, an extra room for multiple use. 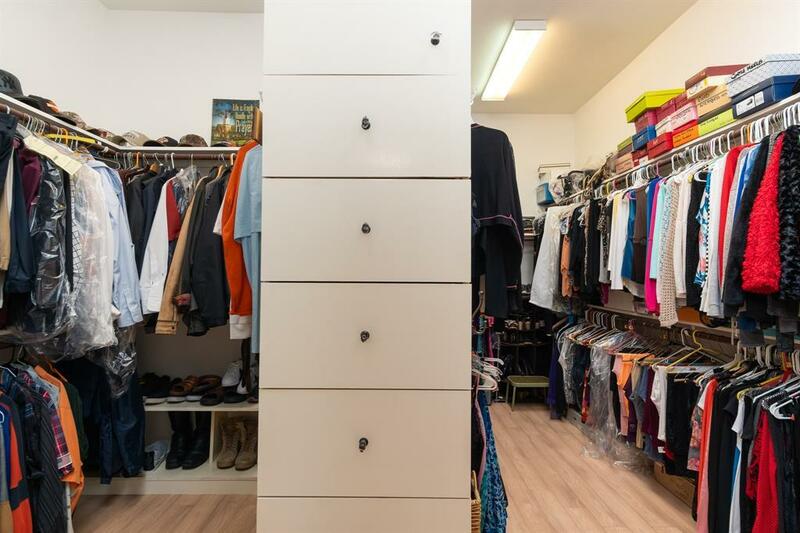 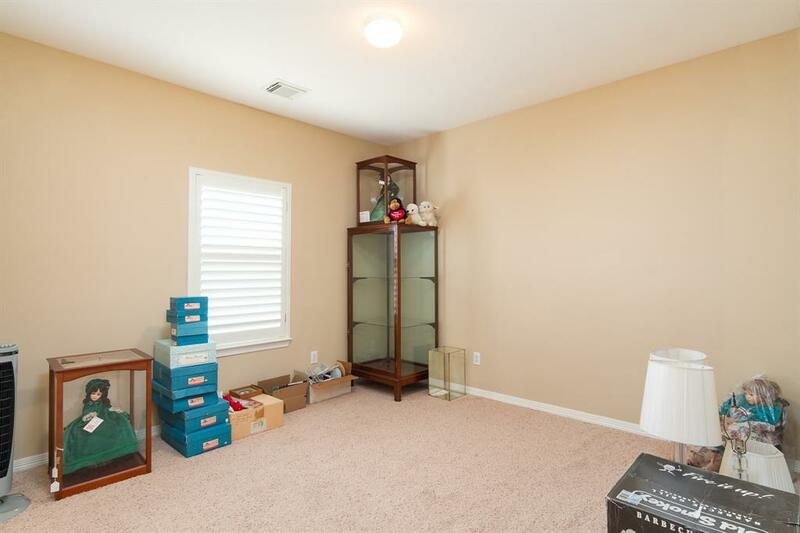 This home has tons of closet space everywhere. 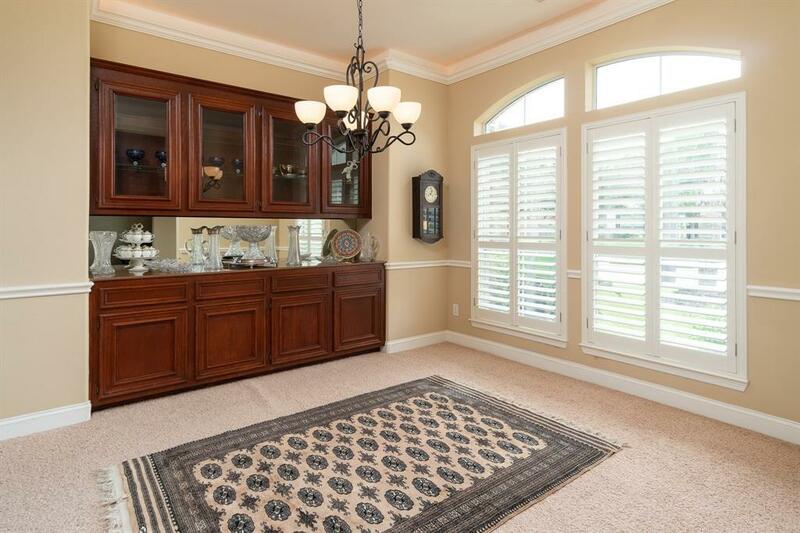 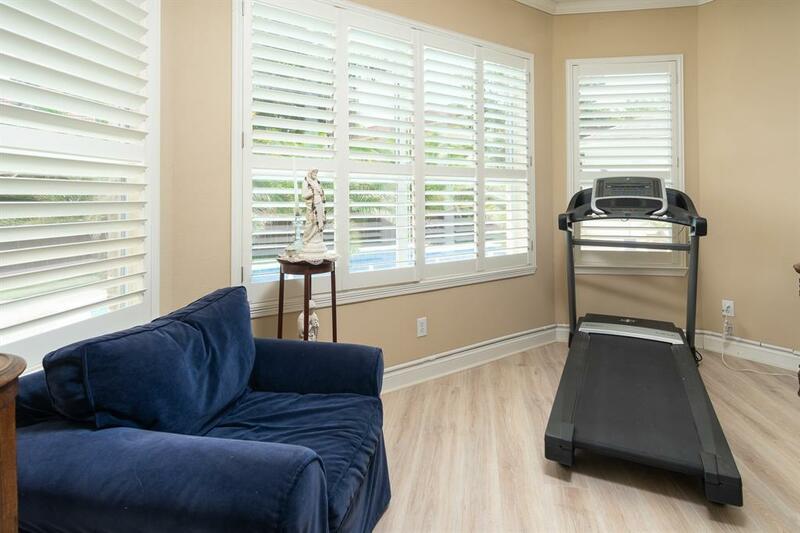 Plantation shutters throughout home. 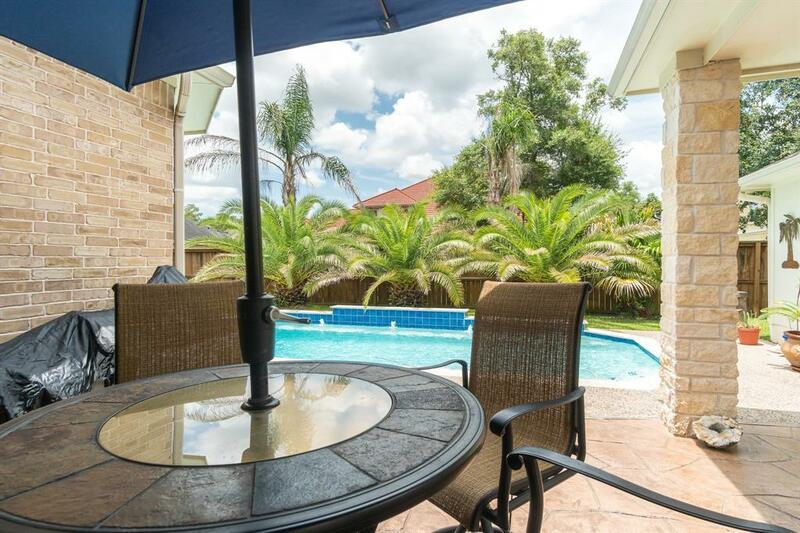 Outside you have a covered porch area with tropical landscaping overlooking beautiful heated pool with waterfalls. 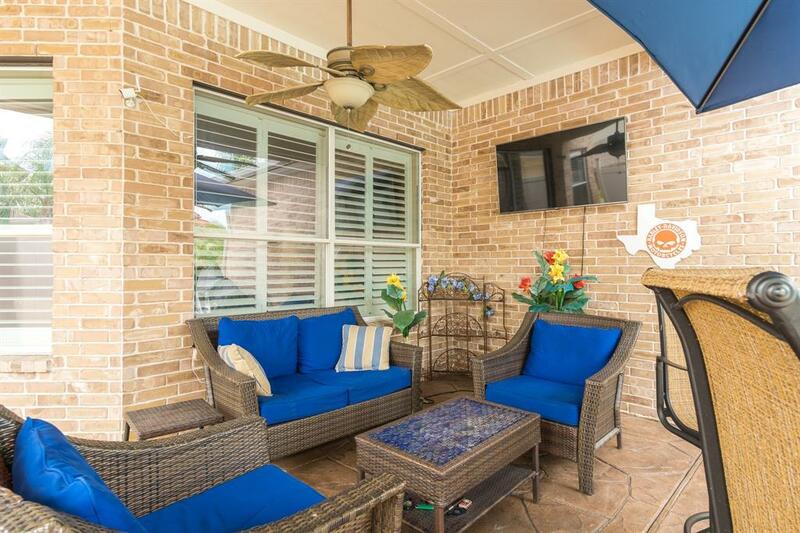 Bring the family to enjoy all this home has to offer! 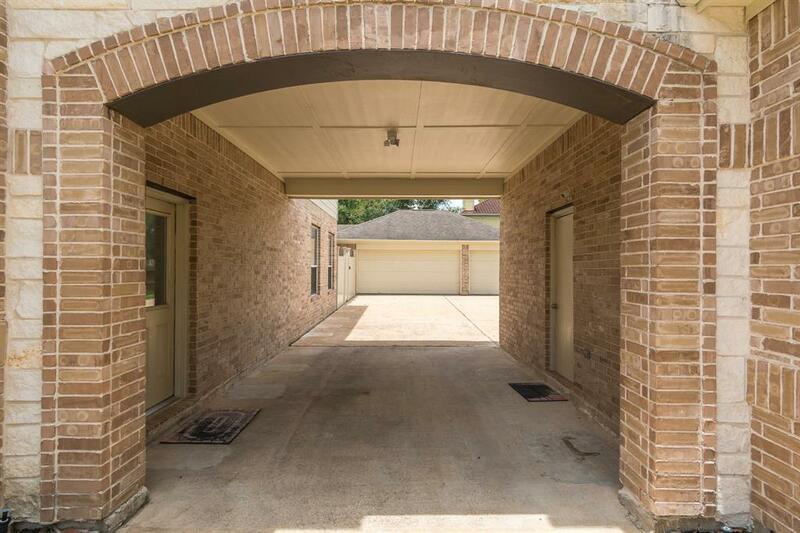 No MUD or utility tax in this neighborhood. 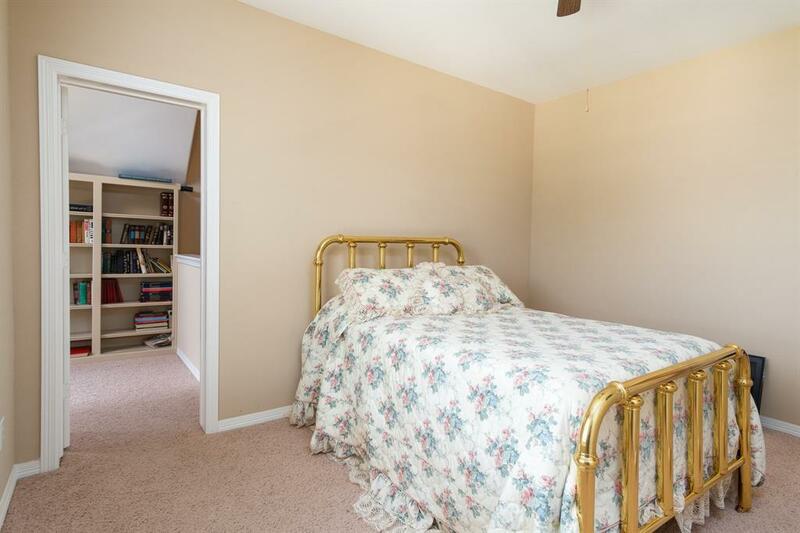 Never flooded! 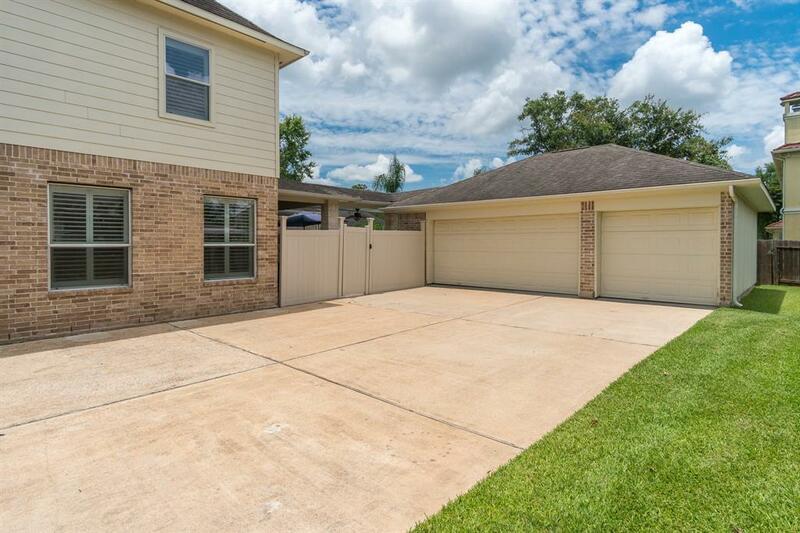 Directions: I-45 To Bay Area Blvd. 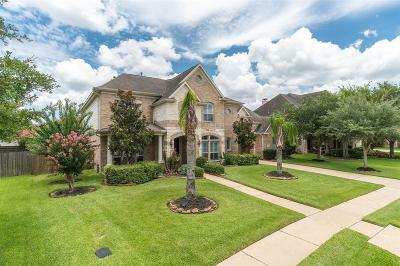 Turn Into Friendswood Oaks And Turn Right On Queensburg. 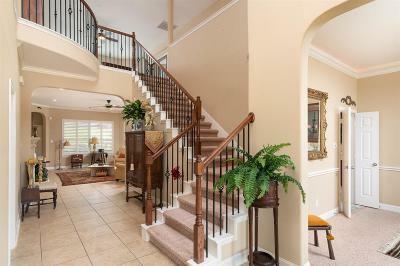 Home Is On The Left.